This week New Zealand has been voting on a referendum to see if New Zealanders want to change our flag. 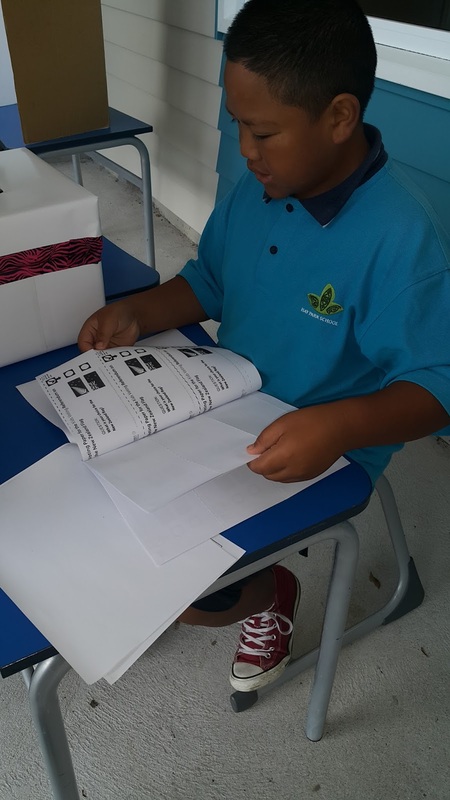 We held our own voting at school and the majority of Hay Park Students want to change our flag. In Scott Class we have been learning about flags and the symbols on the flags and what they represent. One of our learning tasks this week has been to design a flag that represents our class. This is Osana's flag design. She has included art work from our artist Ian Scott, the stars for our Chromebooks and our class photo to show who is in our class. Hi Nabila, thank you for your comment. Did you learn about the flag when we held the referendum? Did your family vote? Some people in our class were very happy when the flag didn't change. Wow this is an awesome photo of all of you guys I love it how you guys added some cool photo's . Thank you for your comment. It was very tricky to try and get everyone in the same photo! It took us a lot of goes and this was the best. I have been blogging since I came to Hay Park School (at the beginning of 2014), you should have a look and see if you can find my first blog post. I can't even remember what it was about! Are you excited about starting your own blog? I'm honestly loving this page! It has some good details and pictures!.